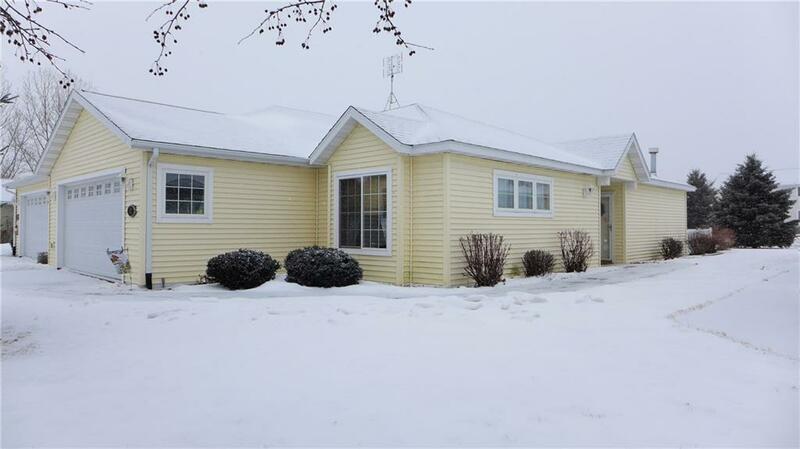 This twin home located on the north end of Rice Lake has everything you need on one level! Move-in ready condition with a very functional floor plan and no steps anywhere on the property makes accessibility very easy. The living room, kitchen and dining areas are all open and the living room has a gas fireplace. The additional family room is located adjacent to the living room and leads out to a concrete patio area overlooking the backyard. The master bedroom has two walk-in closets and a bath with a sit-down shower. This property is priced to sell at $147,500 and includes all of the appliances. Directions: Main Street In Rice Lake To West On Knapp St To North On N Wisconsin Ave To West On Whitetail St.